Dr Udomsinprasert W at Department of Biochemistry, Faculty of Pharmacy, Mahidol University, Bangkok 10400, Thailand.and colleagues have written a review article on Adiponectin as a novel biomarker for liver fibrosis. The article has appeared in World Journal of Hepatology. Liver fibrosis is a leading cause of morbidity and mortality associated with end-stage liver complications in patients with chronic liver disease (CLD). It is presently recognized a reversible wound-healing reaction to chronic hepatic damage. The close relationships between the pathology of liver fibrogenesis and clinical appearance of the disease affirm the significance of extended basic and translational studies into the pathogenesis of liver fibrosis. To date, the development of anti-fibrotic therapies in fibrosis and/or cirrhosis has been largely unsuccessful. It is known that Adiponectin plays primary roles in the regulation of systemic glucose homeostasis and lipid metabolism. According to authors lately, emerging evidence indicates beneficial effects of adiponectin on liver fibrosis; however, the exact mechanisms of this action remain unclear. The authors have summarized the recent findings regarding the role of adiponectin in liver fibrogenesis and update the current comprehensive knowledge regarding the usefulness of adiponectin-based treatments in liver fibrosis. Adiponectin has been demonstrated to have an anti-fibrotic action in the liver by blocking the activation of hepatic stellate cell-mediated adenosine monophosphate-activated protein kinase and peroxisome proliferator-activated receptor-alpha pathways, which in turn diminish the expression of pro-fibrotic genes. In addition, hyperadiponectinemia was noted in patients with various chronic liver diseases (CLDs)-related liver fibrosis. An increase in circulating adiponectin levels was also found to be associated with the development of liver fibrosis, indicating a role of adiponectin as a non-invasive biomarker for predicting the progression of liver fibrosis. It is, therefore, reasonable to speculate that adiponectin may be developed as a new therapeutic candidate for the treatment of liver fibrosis. 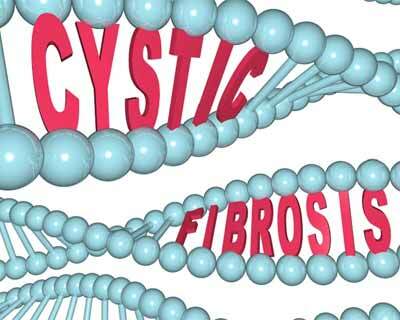 Nonetheless, future observations are still necessary to fully elucidate the extent of the effects of adiponectin on liver fibrotic outcomes, in order to modify adiponectin as an anti-fibrotic therapy that would speed up fibrosis reversal in patients with Chronic Liver Disease.